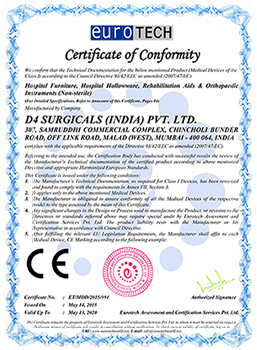 D4 Surgicals (India) Pvt. 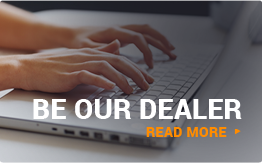 Ltd. provides Hospital furniture - Couch to suit the requirements of each and every medical profession. 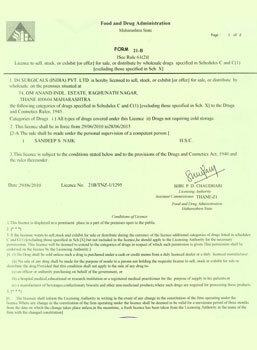 These Hospital furniture - Couch are used in most of the Indian hospitals and Dispensaries. 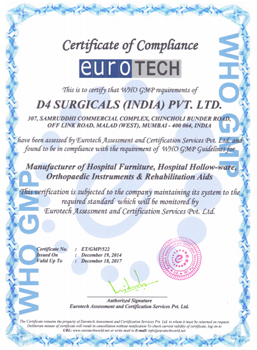 D4 Surgicals has also earned a good reputation from the international community as one of the best quality Hospital Furniture Manufacturer from India. 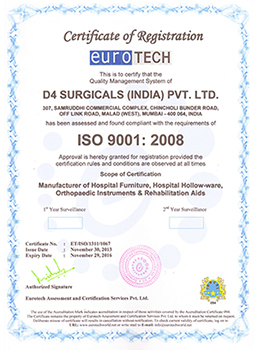 While Manufacturing these Hospital furniture - Couch best quality standards are followed. CRCA Sheets and Rectangular tubes.